Traffic School Q&As: Over 90 percent of the information we take in while driving is visual. Over 90 percent of the information we take in while driving is visual. Question: Over 90 percent of the information we take in while driving is visual. • Most drivers make __________ driving errors for every 20 decisions they make while driving. • Negative thoughts that occur while driving often surface in the form of __________. • Over 70% of crashes involving cars with bicycles occur in driveways or __________. • True or False: In California, you may text while driving. • Cell phones cause both _____ and _____ distractions while driving. • Risk while driving is defined as the probability of _______, damage or loss. • What percent of all fatal crashes occur because of aggressive driving. 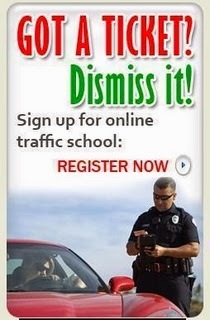 • You are pulled over by an officer. Neither your 16-year-old son, your 12-year-old daughter nor you have seat belts on. Which statement is correct? • If you need to send a text message while driving, __________. • While driving in the city, the busy urban environment can induce ___________. • Turn-outs are used to let slow moving vehicles pull over and let other vehicles pass. • While driving, if you need to use your cell phone, _________. • What percent of all crashes are the result of distracted driving, according to a recent study? • Driving decisions depend on learned information, realistic perceptions and _____. • Safety belts increase your chances of surviving a collision by more than ____ percent. • Youths age 16 years or younger account for ___ percent of all bicyclist deaths. • Approximately _________percent of bicyclists accidents occur because motorists make turns without noticing cyclists. • According to the National Highway Traffic Safety Administration, what percentage of collisions involved a driver that had their mind on something other than the road within 3 seconds before the event? • Alcohol-impaired driving causes approximately 30 percent of California's _________ traffic collisions.